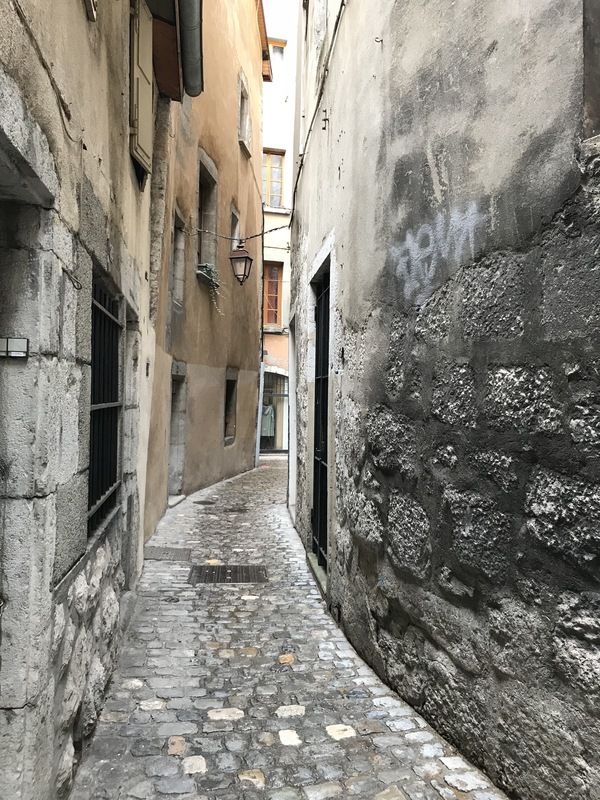 A few weeks ago I stumbled across this example of an excellent interactive walking tour experience through the old town of Chambery, France. This old town is full of arches and alleyways, along with several landmark sites including the castle and Elephant fountain. Whilst much could be said about the fantastic cultural heritage and rich architecture, the real insight has to be the tour itself and how it was set up. On arrival downtown the tourism office is easy to find, right in the city centre. We popped in and they gave a Free Map to guide us around the city. And, that was it. From zero prior research, we were suddenly prepared for a full on tour and experience exploring the old town through a simple signalled walking path. Now, just follow the elephants. We set off and could explore all the sights allow a very simple elephant “mark” footsteps every 10m along the sidewalk (image above). These symbols were set up discretely, for an unobtrusive “guided” walk around the city and with explanations on your map for every site of interest. This could be re-applied in so many remote sites, with very limited cost. Low-cost, fun, and immersive solution for tourists and locals to help them experience the full old city without the hassle of a full guided tour.